Offering venue dressing, Magic Mirror photo booth, LOVE letters, Table Selfies and more! 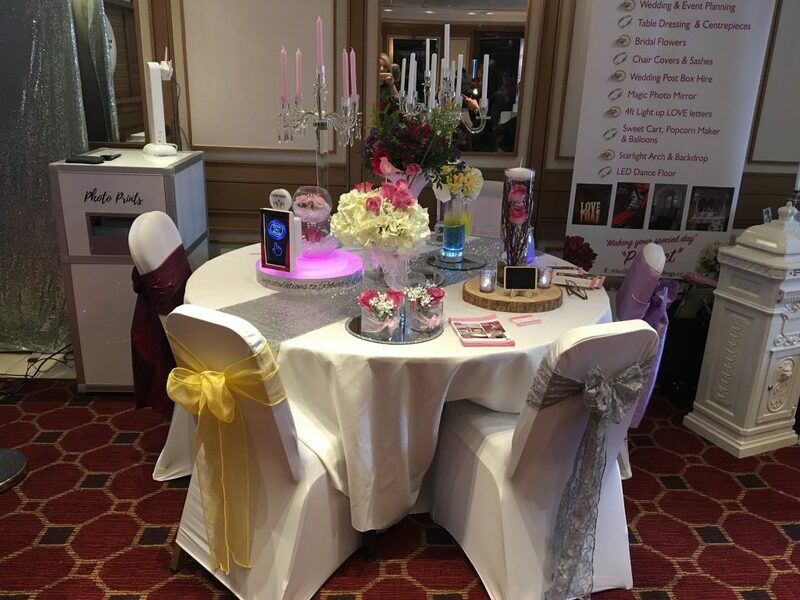 We’ve seen a lot on social media from Tracy Lea this month and were lucky enough to see them out and about at wedding fayres too! This month we’re focussing on innovation and Tracy Lea Weddings are masters of staying relevant and providing brides with a fantastic full package! What products do you offer as a business? We offer a huge range – Magic Mirror, Glamour Mirror, Magic Mirror Photo Booth, LED Dance floor, LOVE signs, sweet-cart, backdrops, throne chairs, Table Selfies; everything – we offer a full package for all brides. Why did you choose the Table Selfie in particular? The Table Selfie provides fun for all guests while sitting for the wedding breakfast and it’s something different. What marketing have you found most successful for your business? We get most of our work from wedding fayres and Facebook. The interest for the Table Selfies has been good already! They are booked for two weddings next year  and two for this year  and we have only had the selfies for one week and only taken them to one wedding fayre! I’m confident these selfies will go out a lot this year when I take them to more wedding fayres and more people see them. What have you found most challenging in setting up your business? The most challenging in setting up our business is to keep on top of all the latest equipment [and staying relevant] – that’s were Photobooths come into it. Want your business to be in the next Spotlight? Send us your details and let us know why you think you should be considered for next months Spotlight submission or tell us about a company that you'd like to nominate!